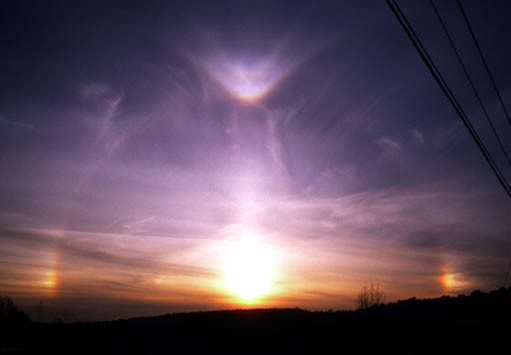 In addition to the 22° halo and the sun dogs, a wide variety of other arcs or halo phenomena occur around the sun in cold climates as a result of ice crystals in the air. Photo by Clay S. Turner. Used by permission.